Wash the leaves and gently dry with a kitchen towel. Gently beat 2 eggs in a bowl with a little salt and pepper. Melt a knob of butter in a frying pan and when it starts to foam (but not brown) add the lightly beaten eggs. 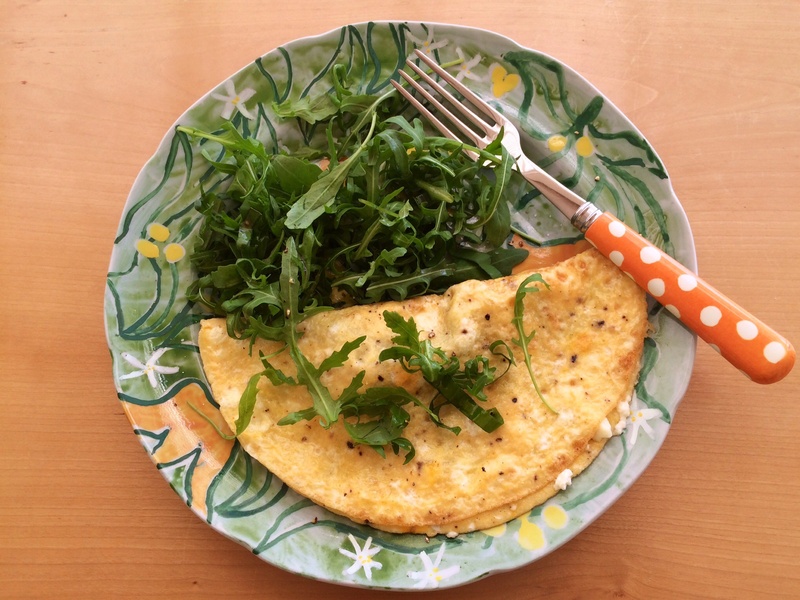 Cook until the bottom of the omelette is lightly set, then add the crumbled goats cheese, 1 or 2 snipped up garlic leaves and allow the goats cheese to melt slightly. 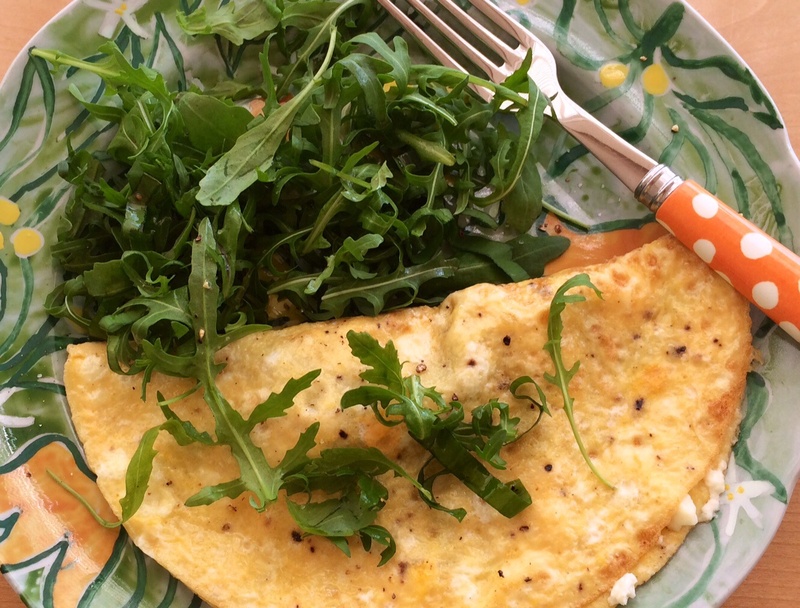 Fold the omelette in half and serve with a little rocket salad with some more snipped garlic leaf, sprinkled with lime juice, and olive oil, salt and pepper. I think a few sliced olives would make a good addition to the salad. 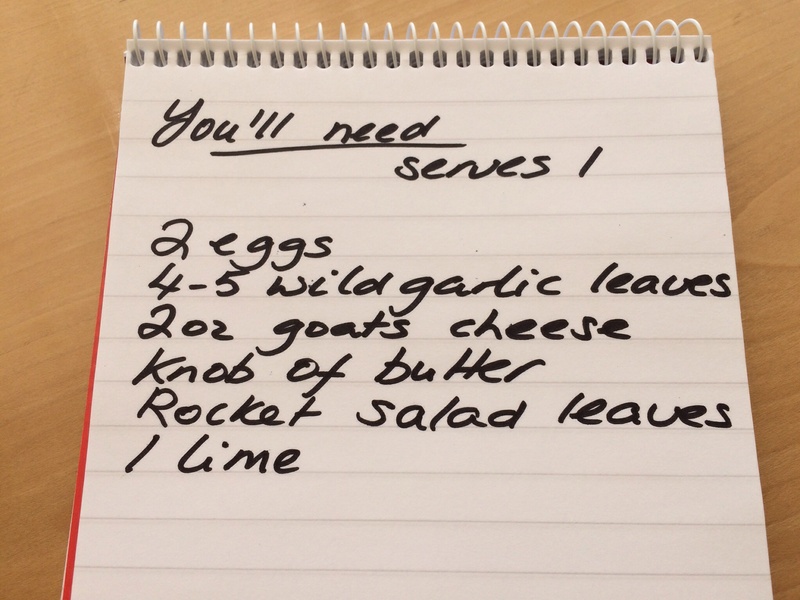 When you can't find wild garlic then use snipped chive leaves instead.